I have to admit I was a little slow to the sneaker trend. 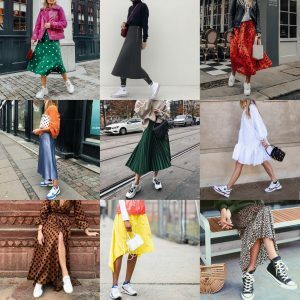 I wear trainers when I’m working out, walking with friends etc, but the whole sneakers with a skirt, jeans, dress look, it just took me a little longer to wrap my head around. Comfortable, but still fashionable. 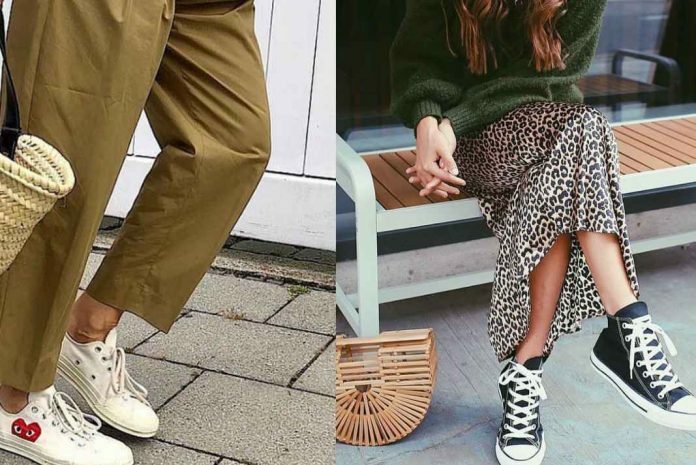 A pleat skirt with sneakers always looks good. Sometimes it just takes a leap of faith. At first, I was a little apprehensive. Would everyone look at me and think ‘What on earth?’ No they didn’t. In fact I got a heap of compliments and couldn’t believe it took me so long! I could now tear around town, shopping up a storm while still looking presentable but comfortable. No more going home with aching feet. Basically, I shop comfortably all day long (bonus, and very dangerous). They don’t’ have to be super expensive (but I wouldn’t say no those fabulous Gucci ones). Lacoste does a great range at good prices – under $200 and they look just as good, or even better than the luxury brands. The sneaker and skirt combination is always a winner. Comfortable yet stylish. Go bold, there are so many colours from white to bright red and everything in-between. Best places to buy (at a good cost) – Lacoste, Wittner, Decjuba, and Seed Heritage. As always, just go for it. Life is too short. Enjoy fashion, it’s an expression of you (and the bonus, how comfortable are sneakers!). Next articleWould you spy on your parents?